M1911 / M1911A1 NEW! TT-33 / TTC NEW! ČZ-52 FÉG PA-63 NEW! to treat Bad Rifle Karma NEW! AK47 vs M16/M4/AR15 vs Mosin-Nagant Clips Versus Magazines Protect Your Feet! In 1945, Sergei Gavrilovich Simonov invented a 7.62x39mm rifle that the Soviet Union later standardized as the service rifle known as the SKS (or СКС), the Samozaryadniy Karabin sistemi Simonova (Самозарядный Карабин системы Симонова), the Self-loading Carbine, system of Simonov. The SKS was quickly replaced by the AK-47 as the USSR's primary service rifle, but it remained as the secondary shoulder-fired arm, issued to non-infantry and second-line troops, at least into the 1980s and possibly into the early 1990s. It's still in official military service in the People's Republic of China, the Democratic People's Republic of (North) Korea, and some African nations. 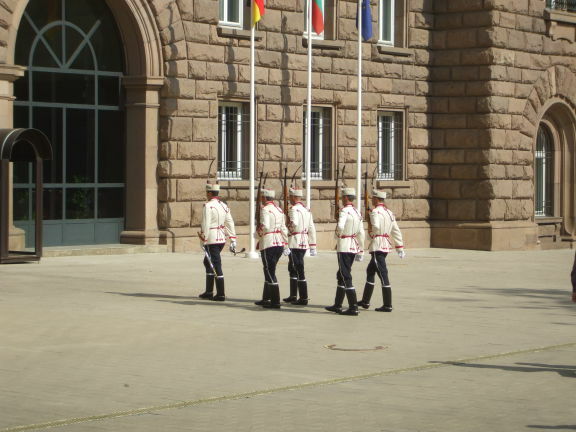 Meanwhile, some version of the SKS is used by a number of ceremonial units and honor guards, at least within former Warsaw Pact nations. The Soviet Union built the original SKS at their Tula and Izhevsk Armories, in 1949-1956 and 1953-1954, respectively. The People's Republic of China is probably the most prominent manufacturer of an SKS model, given the vast numbers they produced. Seriously. Chinese population many. 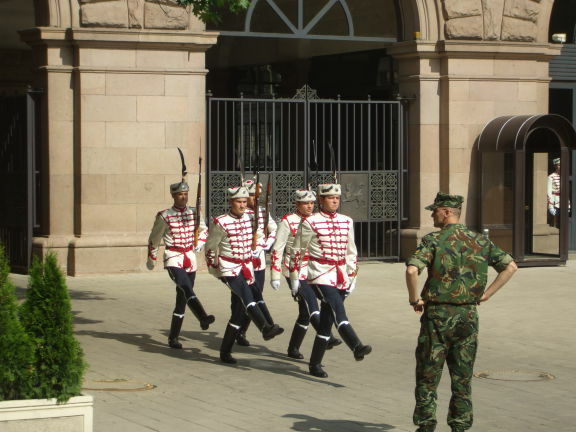 The Chinese called it the Type 56 (or Model 56). They also built a number of variants and related designs, some of which used AK-47 detachable magazines (the SKS-D and SKS-M). Being designed for this magazine, they actually worked, as opposed to the large number of after-market accessories sold in the U.S. after the commercial Chinese SKS (with a lighter colored wood stock) began to be imported in large numbers. Other SKS manufacturers included Romania, Yugoslavia, Albania, East Germany, and North Korea. Poland refurbished and modified Soviet built rifles. North Vietnam was a source of a small number, either modified Soviet and Chinese units, or slightly varied clones of those. 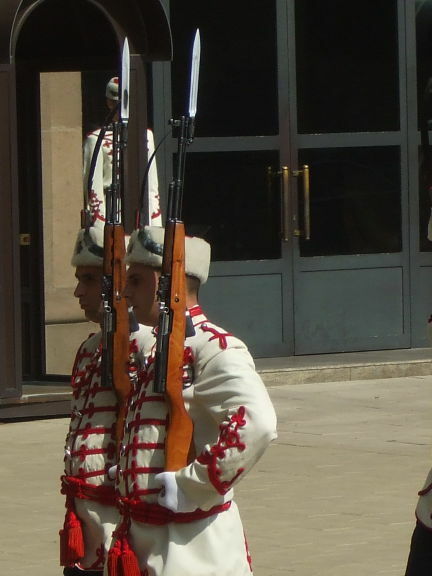 Another prominent variant was the Soviet Honor Guard model, with all metal parts chromed and a light colored wood stock. 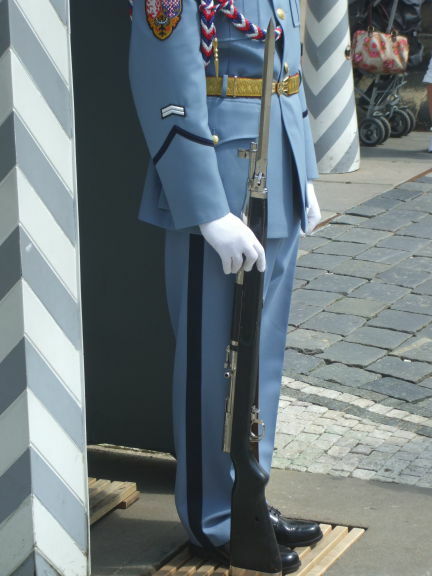 There was also a similar Chinese Honor Guard model, in which most but not all of the metal parts were chromed and the stock is not of lighter colored wood. 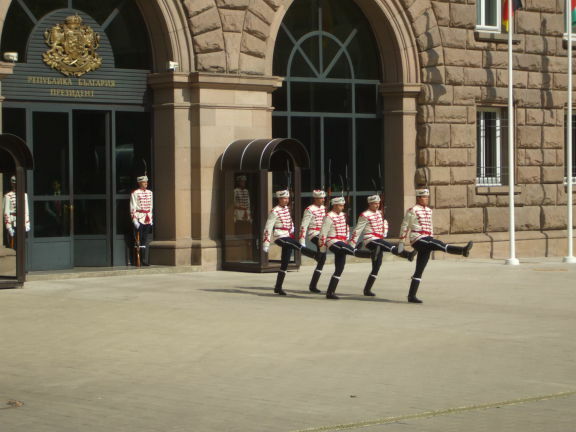 This is the honor guard at the office of the President of Bulgaria, in Sofia. They are equipped with the SKS. 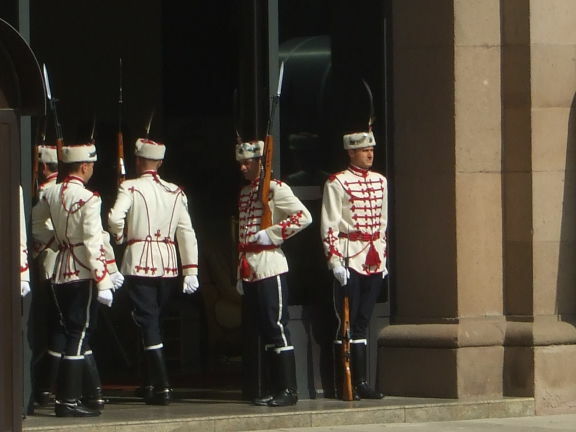 Not the gaudy chromed version, these look like the standard issue SKS. OK, guys, take a break. 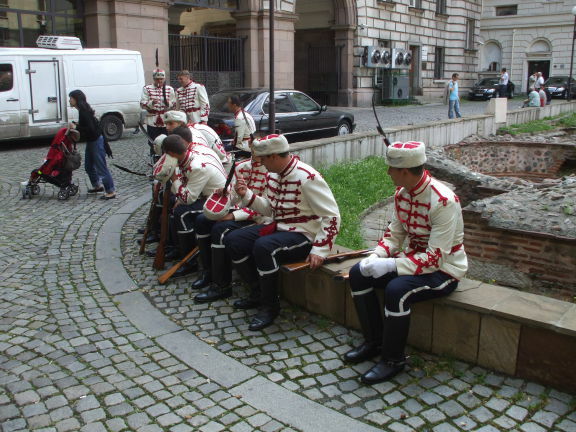 Go out back by the historic Bulgarian Orthodox church in the courtyard and hang out for a while. Relax, chat with the tourists. 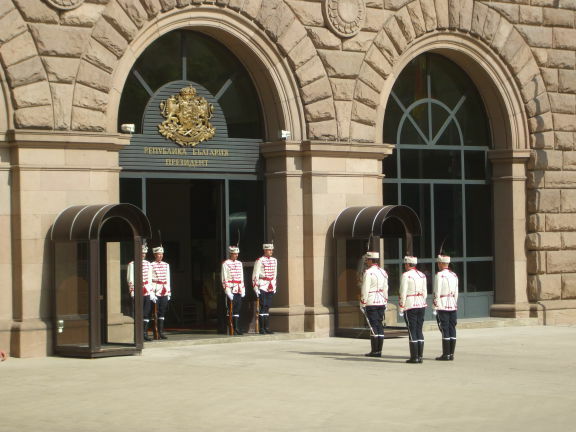 No need to panic and be pointlessly gruff and aggressive, the Bulgarian Republic will survive. 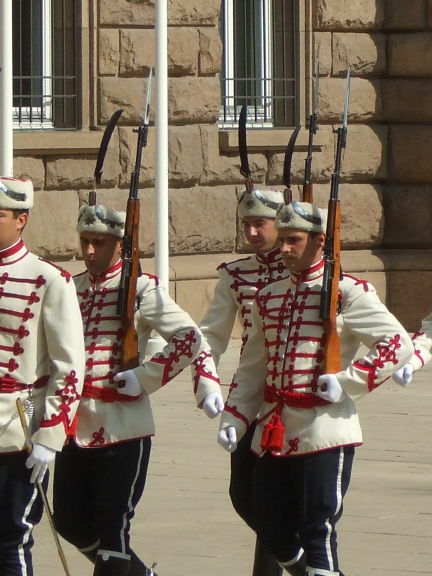 The honor guards at the entrance to Pražský Hrad, or Prague Castle, carry what looks much like the chromed SKS — except without the magazine extruding from the bottom of the stock in front of the trigger guard. However, this is not an SKS! This is the Czech vz.52 rifle, or the Model 52. Its full name is 7.62mm Samoabríjecí puška vzor 52. These have had their metal chromium-plated and their wood stained dark. The U.S. has more guns and a lower homicide rate. What Do Brady Campaign Rankings Really Mean? Even prominent anti-gun figures find them worthless. Defensive Gun Use in the U.S.
Keep your military surplus rifle legal. Wrap your own Portyanki! The meaning of "OTK" on Soviet and Czech military surplus How to decode Soviet military surplus ammunition labels Gunsmith Horror Stories Classic battle rifles: Comparing the AK47, M16/M4/AR15, and Mosin-Nagant Clips Versus Magazines — There Is A Difference! Firearms philosophy of Ivan Chesnokov Links to other sites we find interesting or useful. WARNING: All content on this web site, including technical data, information, and reports of any activities, do not detail the comprehensive training, procedures, techniques, and safety precautions which are absolutely necessary to properly carry out similar activity. 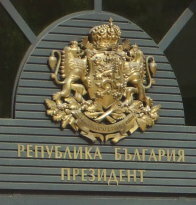 The reader MUST NOT attempt any reported activity, technique, or use of equipment based on reports on this web site. Always consult comprehensive reference manuals for details of proper training requirements, procedures, techniques and safety equipment and precautions before attempting any similar behavior. © Page author Apr 2019.